Item MS-4-135, Oversized Folder 8, Item 4 - Proposed modification to saloon & hold : Arrgt. "A" : Schooner "Bluenose"
Proposed modification to saloon & hold : Arrgt. 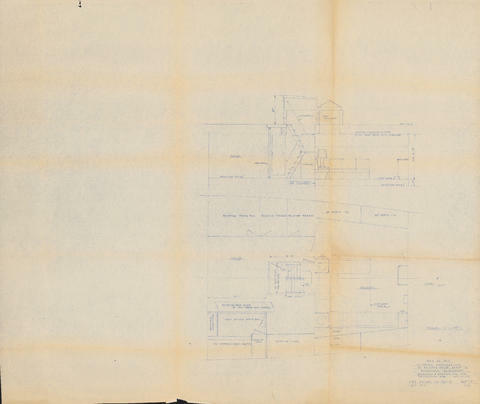 "A" : Schooner "Bluenose"
File contains two copies of a drawing of proposed modifications to the saloon and hold of the Bluenose II. The drawing was produced by Sparkman & Stephens, Inc. from New York City. The drawing shows a floor plan of the area as well as a side view of the rooms and stairs.